Add this to the long list of people talking about burnout and rest. The article makes some good observations and important suggestions. #1 is great. Having a group of trusted mentors that can tell you hard truths is GREAT advice. But the second paragraph stood out to me, because it makes a naive recommendation. It goes like this, “If you want to avoid burnout, don’t measure success by money or power. Instead use a 3rd metric. Measure success by changing the world” Ha. “Fighting the good fight” can lead to burnout just as quickly as working for Wall street. 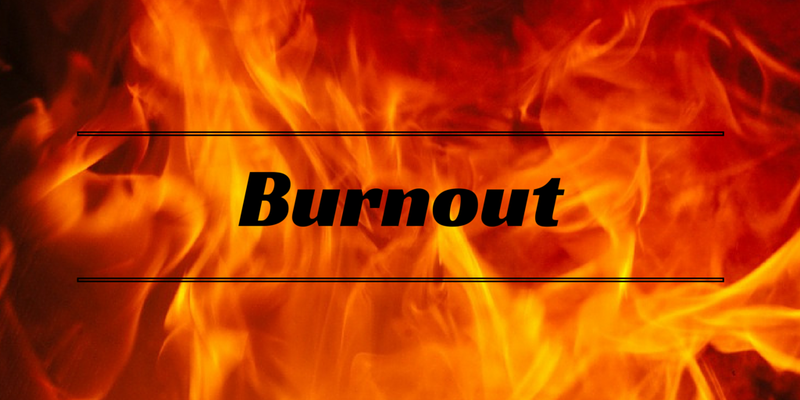 Anyone who has worked with churches or nonprofits knows that “fighting the good fight” can lead to burnout just as quickly as working for Wall street. In fact, it might be even more devastating. When you work for a “cause” it is easy to believe that since you are working for something virtuous that you ought to be successful and appreciated. And when you experience the opposite, that instead you are often opposed and criticized, you may find yourself suffering from burnout + disillusionment. I can provide a long list of these people for you right now, right off the top of my head. “One day in 2007, Arianna Huffington found herself lying on the floor of her home office in a pool of blood. After an MRI, a CAT scan, and an ECG, she learned there was no underlying problem–it was exhaustion which had caused her to faint, her head smashing the corner of her desk and cutting her eye. Having a cause is important. But it is not enough. We need wisdom in how we serve the cause. via How Great Leaders Avoid Burnout | Inc.com.